We've told you about Twelfth Night celebrations on this blog . Now, if you're in the Philadelphia area, you can experience one for yourself. Germantown Country Dancers will host this festive celebration of music, dance, traditional merriment, singing, laughter and, naturally, refreshments. 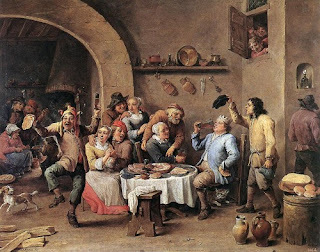 Besides our Colonial Revelers, who will provide period seasonal songs, expect Morris dancers, country dances, and the crowning of a Twelfth Night King and Queen. Lots of audience participation. Please join us! Admission: Adults, $5; under 18, $2; family maximum, $15.